The Trips feature allows employees to organize expenses related to a business trip (i.e. a conference, customer visit, or other work related travel). Each Trip is assigned a name and a date range - any expense that falls within that range can be added to that Trip. 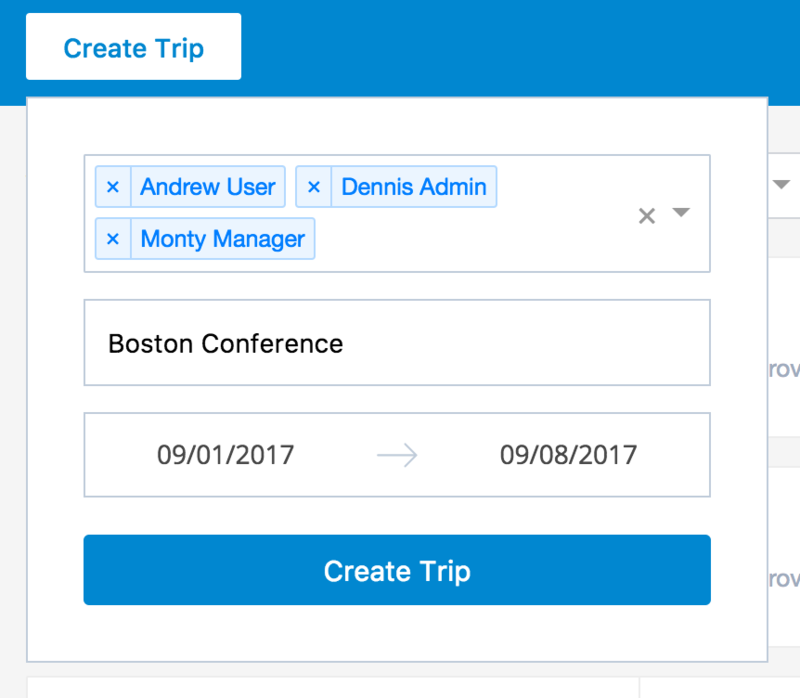 Trips are a great way for employees to organize their expenses and they help Admins monitor travel spend, as well as speed up the review and approval process. How do trips work for employees? You can create a new trip by choosing the ‘Trips’ tab and clicking ‘Create Trip’. Only employees are able to create, name, and customize the date range for a new Trip. In your 'Trips' tab, navigate to the upper right-hand corner, and click on 'Create Trip.' From there, you can name the trip, and select the appropriate date range. Pro-Tip: Make sure you have the most updated version of the Abacus App to add an existing Trip to a new expense! Expenses incurred during the date range of a Trip will automatically be added into your trip. If an expense is erroneously added to a trip, you or your approving Admin can remove it. How do Admins create trips for others? Admins also have the option to edit or delete trips that have been previously created. How do Admins review trips? In the Admin view, you can see your team’s Trips in a dashboard by order of date. At a high level, you can see the total number of expenses, expenses with policy violations, total amount spent by a team member, and approval status. To review and approve the expenses associated with an expense, simply click on the trip and you will be taken to a Live Report of the expenses. 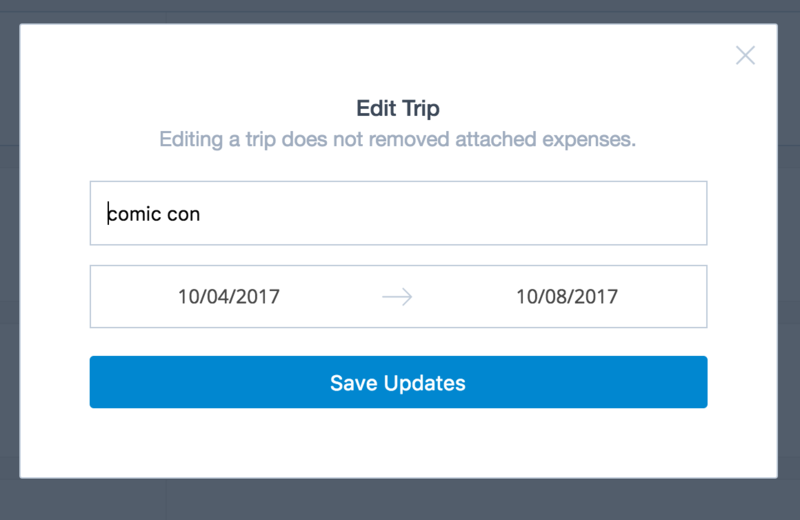 If you see an expense that is incorrectly tagged with a Trip you can simply hit ‘Edit’ and remove it or move it to a different trip for that employee. Pro Tip: To quickly see a high-level overview of the spending on a trip, hover over the trip on an individual expense, and you will see the total amount of the expenses, their status, and any warnings associated with the trip. You can also export a CSV or PDF file of expenses tagged with a Trip. Just select all of the expenses in the Trip and select ‘Export’ from the menu that appears on the right.